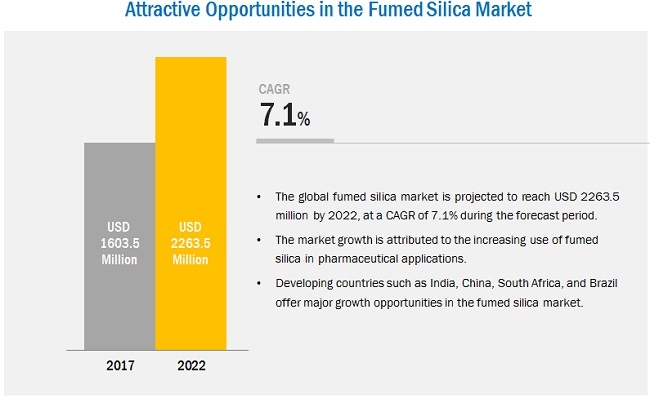 [197 Pages Report] on Fumed Silica Market is projected to reach USD 2.26 Billion by 2022, at a CAGR of 7.1% from 2017 to 2022. In this study, 2016 has been considered as the base year, and 2017–2022 as the forecast period for estimating the market size of fumed silica. 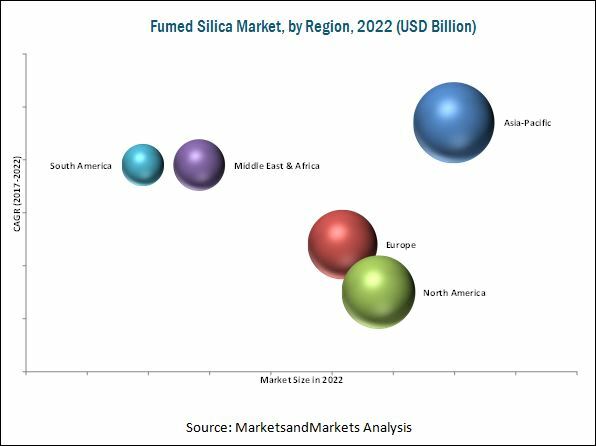 This study aims to estimate the market size for fumed silica in 2017 and provide market forecast by 2022. It offers a detailed qualitative and quantitative analysis of the market. Various secondary sources that include Journal of American Chemical Society (JACS), Association of Synthetic Amorphous Silica Producers (ASASP), American Composites Manufacturers Association (ACMA), and United States Environmental Protection Agency (EPA) have been used to identify and collect information useful for an extensive and commercial study of the fumed silica market. Primary sources such as experts from related industries and suppliers have been interviewed to obtain and verify critical information, as well as assess growth prospects of the fumed silica market. Key manufacturers of fumed silica include are Evonik Industries (Germany), Cabot Corporation (U.S), Wacker Chemie AG (Germany), and Tokuyama Corporation (Japan). These manufacturers focus on increasing their regional presence by adopting strategies such as contracts & agreements, mergers & acquisitions, and new product launches. The fumed silica market is projected to reach USD 2.26 Billion by 2022, at a CAGR of 7.1% between 2017 and 2022. Fumed silica is an amorphous silica (silicon dioxide), obtained synthetically by vapor-phase hydrolysis process. 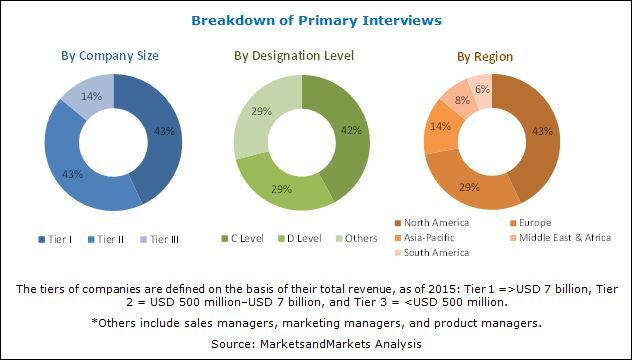 The growth of the market is primarily driven by the increasing applicability of fumed silica in various industries such as adhesives & sealants, construction, and automobiles. Furthermore, the cost-effectiveness of fumed silica as compared to precipitated silica is another significant factor driving the growth of the market. The paints & coatings and inks, and adhesives & sealants are considered to be key applications for fumed silica in emerging as well as developed economies. Based on type, the fumed silica market has been categorized into hydrophilic and hydrophobic. The hydrophilic fumed silica segment is the largest type segment of the market both, in terms of volume and value. The hydrophobic segment is expected to grow at the highest CAGR during the forecast period, in terms of volume. This growth is mainly attributed to the water-repellent properties of hydrophobic fumed silica, which makes it one of the best materials utilized for anti-corrosive applications. Based on application, the fumed silica market has been segmented into paints & coatings and inks, adhesives & sealants, pharmaceuticals, UPR, gel batteries, and lighting, among others. The growth of the paints & coatings application segment of the market is primarily driven by the rising demand for water-based paints & coatings from the architectural and industrial applications. North America, Asia-Pacific, and Europe are key regions in the fumed silica market. The market in the Asia-Pacific region is anticipated to grow at the highest CAGR between 2017 and 2022, in terms of value and volume. This growth is mainly attributed to the increasing usage of fumed silica in paints & coatings, adhesives & sealants, UPR, and gel batteries applications. Lack of awareness regarding the benefits of fumed silica over precipitated silica is expected to restrain the growth of the fumed silica market. In addition, the introduction of biogenic fumed silica, which becomes an alternative to fumed silica, is further restraining the growth of the market. Evonik Industries (Germany), Cabot Corporation (U.S), Wacker Chemie AG (Germany), and Tokuyama Corporation (Japan) are leading companies in the market. These companies are expected to account for a significant market share in the near future. 11.5 China National Bluestar(Group) Co.,Ltd. 11.6 Applied Material Solutions, Inc.
11.7 Chiefeng Shengsen Silicon Technology Development Co, Ltd.
11.13 Guangzhou Henan High-Industry Co, Ltd.
11.14 China – Henan Huamei Chemical Co, Ltd.
11.16 Dalian Fuchang Chemical Co, Ltd.
11.17 China Silicon Corporation Ltd.
11.18 Fuji Silysia Chemical Ltd.
11.20 Zhejiang Xinan Chemical Industrial Group Co, Ltd.
11.23 Henan Xunyu Chemical Co, Ltd.
11.24 Inner Mongolia Sucon Silicone Co, Ltd.
11.25 Zhejiang Fushite Silicon Material Co, Ltd.